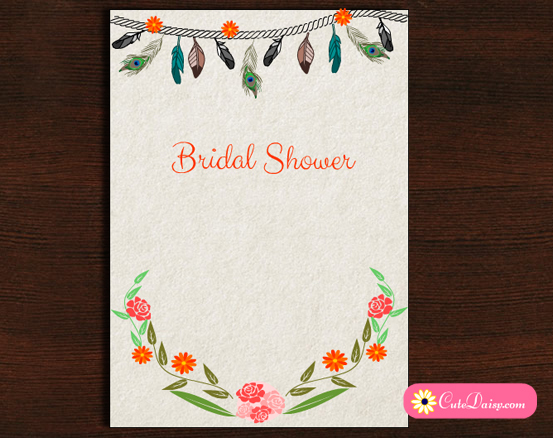 If you are planning to have a couples shower and not a bridal shower these Free Printable Couples Shower Invitations will help you keeping that economical and cost effective. 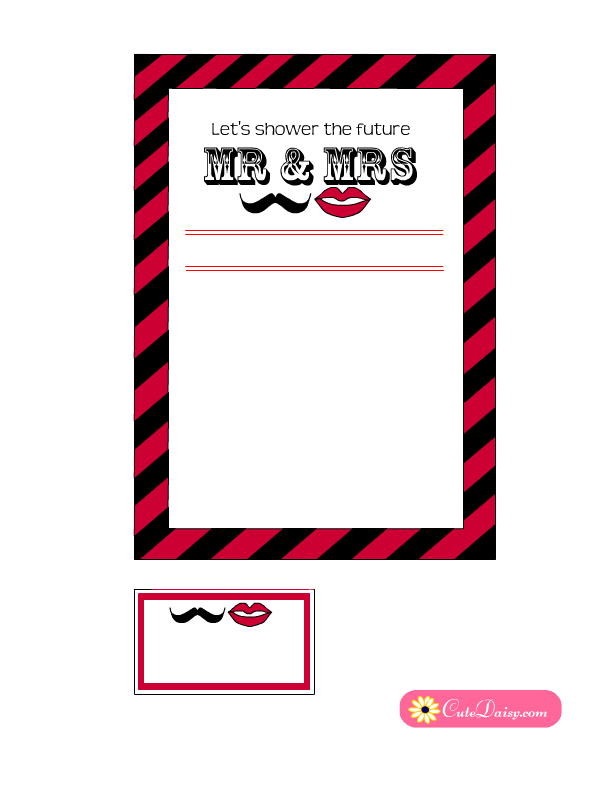 I have made these as PDF templates so you can easily personalize these according to the requirements of your couples shower. I have kept these invitations a bit simple with just a moustache and lips image. I have provided many text fields so you can add your own text with ease. 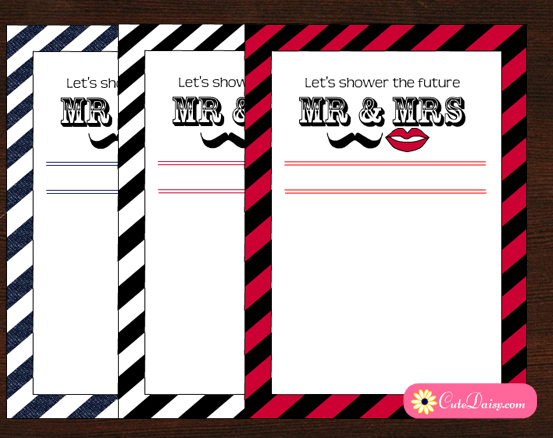 These Free Printable Couples Shower Invitations are free only for personal use. If you want to use these commercially please send me an email to discuss the terms and conditions. 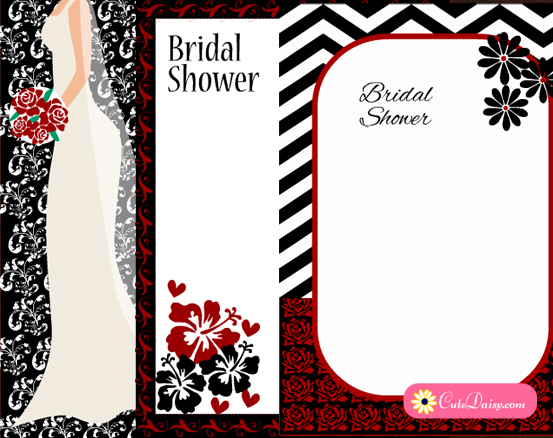 Click here to download the editable PDF file for this free printable Couples bridal shower invitation. Shower the future Mr. & Mrs. with gifts and to do that invite your guests using this adorable invitation. 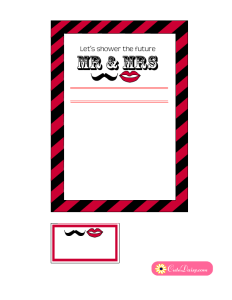 I have also made a matching address label with this invitation. All my invitations are 7″x5″ in dimension so you can get an envelope for these according to these dimensions. This is another color combination of this free printable invitation. 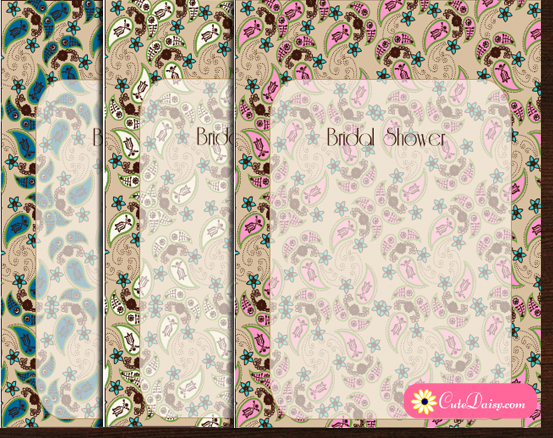 Click here to download the editable PDF file for this.